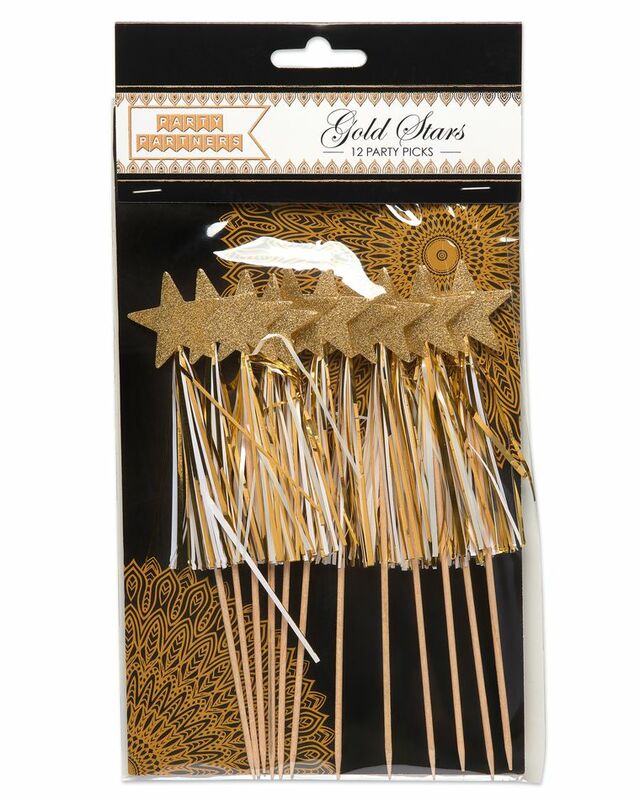 Make your party snacks shine with metallic gold star tassel party picks! 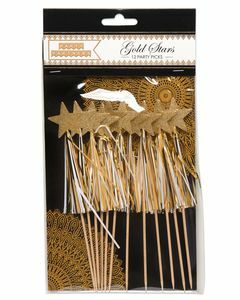 These elegant party picks measure 6” tall and feature a bamboo toothpick topped with a gold glitter-embellished paper star and metallic gold foil fringe. 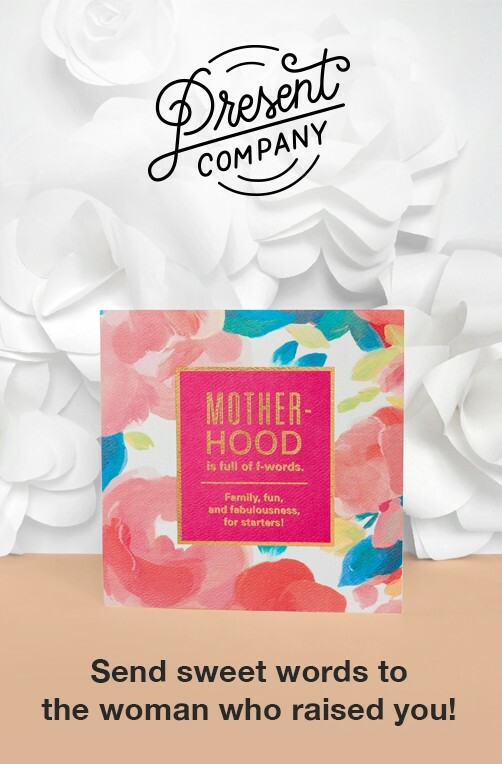 Reusable and recyclable, party picks are sturdy, eco-friendly and stylish, too. 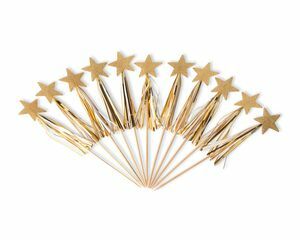 Place a stack of festive party picks by the appetizers or desserts for easy, clean eating at a birthday, congrats, graduation, New Year's or awards-show party!